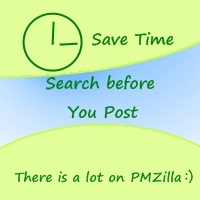 Mrinmoy Das has compiled collection of Lessons learnt from PMZilla Members for last 6 months. A great collection to have for all PMP Aspirants. This collection will help you decide, the study plan, books to read, exams to take and will also provide direction and inspiration. I am getting "Page can't be displayed" error when I am trying to open up this LL Collection. Also I am not able to save it. Highly recommended http://pmpexamforfree.com for every one taking this PMP exam. Try it, all free and with answers provided for practice. Can the admin please fix the link posted in this thread? We are still experiencing the broken link. I do like the compilation.